SDA Bocconi is a B school that consistently figures in the prestigious FT MBA rankings (it is currently ranked 31, just below IIM Ahmedabad). When they moved overseas and reached Indian shores, we were intrigued. Their campus in Mumbai is known as MISB Bocconi. MISB Bocconi offers a two year full-time MBA course – PGPB in business. The students also get to attend the one semester where they choose their specialization, at SDA Bocconi, in Milan, Italy. They are given a diploma in management from SDA Bocconi Milan. The quality of education imparted even in Mumbai is top-notch, because the faculty is from the main B school in Milan. To find out more, we spoke to Siddhant Kedia, a second-year student of MISB Bocconi, graduating in 2014. 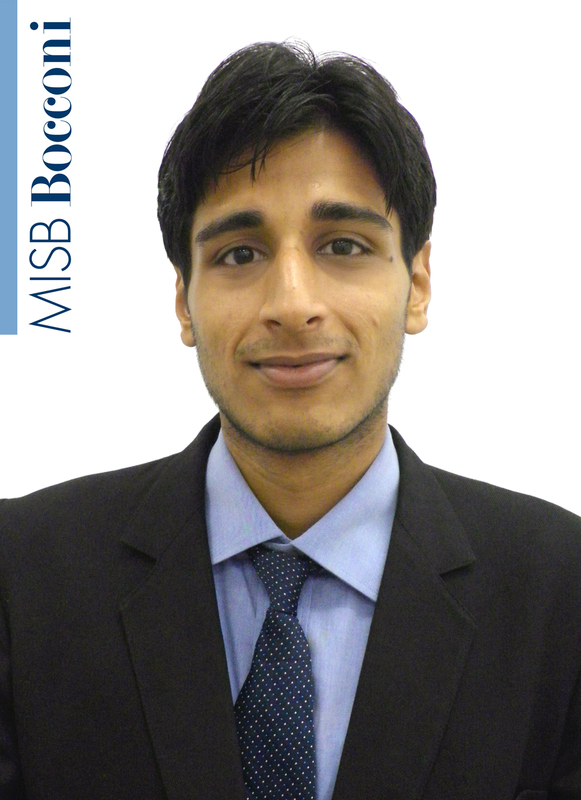 Some background about yourself and why you chose MISB Bocconi? Top-notch quality of education, and also because the B school fit into my plans because pre-MBA work experience was not required at this school. I did my engineering in Biotechnology from VIT (Vellore Institute of Technology). In the final year, I decided that I wanted to understand the management aspect of business. I got a good GMAT score, acads, and a strong CV. I got a job with Dr. Reddy’s and Cognizant. I wanted to work for three years before doing my MBA abroad. I rejected Dr. Reddy’s because it was too technical. I took up the offer from Cognizant. During GMAT, I was doing research on colleges constantly, and SDA Bocconi was one of the high-priority colleges for me, because it is one of the best colleges in Europe. While going through their site, I found out that they are coming to India, and I found that one of their criteria for the SDA Bocconi – the work-ex, was not required in India. This was a boon for me. I was fresh from college, I wanted to finish my MBA and just go out and perform. I applied for the college, did my interviews, got selected, and joined the program. Once I joined the program, whatever doubts in my mind about the course, the education and the exchange program were dispelled emphatically. Could you give us an overview of the program. The program is PGPB – post graduate program in Business. You get two certificates – after completion of year one – you get a PGPB 1 certificate and after completion of year two, you get a PGPB 2 certificate. You get a diploma in International Business from SDA Bocconi. The course is divided into trimesters every year. The first year is common for all students, you have a range of subjects ranging from marketing, HR, operations, strategy, finance, – everything to make the groundwork ready for your specialization. After the first year, you get to do an eight-week to 12-week internship. You can apply for internships on your own. Also, companies come to campus, shortlist students and select candidates. Fourth semester: Campus abroad: After your internship, at the beginning of the second year, you get an opportunity to apply for ‘Campus Abroad’ programmes. Here you are given a choice of five or six universities, with each university offering you a particular course. You get to select the university, you go there, study with other university students coming from Milan. Corporate Connect: After the fourth semester, we have a one-month long company project, we call it Corporate Connect. Live projects are given to you by companies. You get to work with companies for a month, and make a presentation at the end, dealing with what strategies you suggest based on your research. Exchange Semester at the University of Bocconi, Milan: You get to do an exchange semester from September to December in your second year in Milan – at the university of Bocconi. Here, you are given a choice of 56 subjects of which you select four or five subjects on the basis of what specialization you want to focus on (e.g if you want to choose marketing as your specialization, you will select four-five subjects in marketing). There are a number of subjects, not only on finance, marketing, strategy and HR, but also on other topics like performance management, arts and science etc. Then you come back to India for the last semester – the placements happen in this semester. You get to do some Ph.D level courses, and you also do a thesis – this is something that doesn’t happen in other B schools. The thesis requires you to work on a topic with a faculty member in Milan, and make a presentation on the thesis. Ongoing activities: Career development services: Throughout the two years, you have career development services. This is held in different phases, and covers various aspects like how to write a covering letter and make a CV etc. Sessions are taken by career development services heads from Milan. After the course, we will again be trained by the CDS on the basis of the first job offer that we have (corporate etiquette training etc). Thus, there is a focus not only on academics, but also prepares you for the corporate environment. 1 The exchange semester – The great exposure that you get, of studying and working with students from a different country, not just visiting a new country. You’re working on projects with students from Bocconi on a daily basis. 2 The quality of education: The professors are mostly from the SDA Bocconi, Milan, they fly down every week to teach us. The faculty in U Bocconi are not just faculty members, they run their own consulting firms. Our strategy teacher, Robert Grant, is followed for strategy all over the world. Our economics teacher, Carlo Altomonto, is an adviser to the ECB. Our professors therefore, bring both an industry and an academic perspective, they know what they are teaching and they know their game. They bring an experience that you can actually apply in your career. The course in HR is dealt with in a very boring way in other colleges, but here was taught largely using simulations, and was very entertaining. 3 The opportunity to connect: Corporate Connect gives you a chance to connect with the company. It was a live project and not a research project. It was something the company needed to implement their strategy. Also the opportunity to go abroad in the campus abroad program. You can apply with GMAT, CAT or GRE scores. Also, there is a Bocconi test – which has logical reasoning , and a psychometric test. 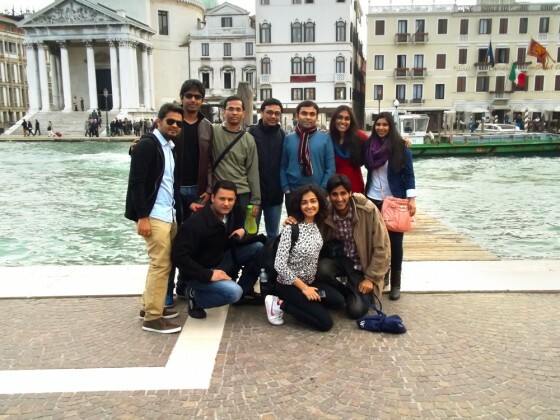 This is conducted by the University of Bocconi in Milan. It can be taken in India as well. If the administration feels that you need to take the Bocconi test, they ask you to give the test. You need to apply online, filling in your scores etc, answer a number of questions etc. What does it take to get in? A good profile, communication skills, analytical skills, general awareness. Just having good academics is not sufficient. It is very important to have communication skills and soft skills. You should be analytically very strong. They may throw a question at you – Indian development and Indian economics and you need to be able to answer that. You should be well read and informed about what is happening. They basically look for an overall package. Good scores definitely help, but extracurricular and co-curricular activities help as well. During the interview they look for what all-round work you have done during college and school, and the way you conduct yourself etc. How was the semester in Milan. The basic purpose of the exchange semester in Milan is for students to select specialized courses to complete their specialization. You are required to take four subjects in your chosen area of specialization, these are conducted by different schools (School of Marketing, Finance, HR etc). I specialized in strategic marketing, I took sales marketing, strategic marketing, international product launch and pricing management. The course runs from September to December. Throughout the four months, you get to work on projects (on a daily basis). Opportunities to work on live-projects:There are umpteen opportunities to work on live-projects. You get a chance to apply in innovation challenges held by several corporates, including Henkel, L’oreal, Telecom Italia, Google etc. Several teams from around the world participate in these. Everyday corporates would be visiting campus, something would be happening on campus. So many events to participate in, so many seminars to take part in. Mere interaction with an Italian student gives you perspective. It’s a complete package. What you learn outside the class is as important as what you learn inside the class. There is a Bocconi & Jobs – a career fair taking place. Till this year, it used to take place in Milan, Shanghai and London. This year, it started in Mumbai as well. When you are in Milan, you can take part in Bocconi & Jobs Milan. This year, around 125-130 recruiters visited. You can interact with these companies, show them your resume, talk to them and explore if there is an opportunity, and of course, if there is an opening, you can apply for the job. Apart from these, there are specialized events like the Finance week (where the top investment banks visited campus), and Luxury jobs fair (an opportunity to apply for jobs with Luxury brands). At the same time, from day one when you enter Milan, there is the job portal which is available online, where every day 25-30 companies upload job opportunities and you can apply for these jobs online (even after returning to India). You can interact with corporates which are coming to campus everyday. Getting a work-visa for Italy is a challenge, but that is the case everywhere. The bigger challenge is speaking Italian. To work in Italy, you need to be proficient in speaking Italian. Regarding the work visa, obviously if the company is keen to hire you, they will hire you and arrange the visa for you. But you have to prove your mettle because these companies need to demonstrate to their governments why they are hiring a non-EU student. It is difficult, but not insurmountable. 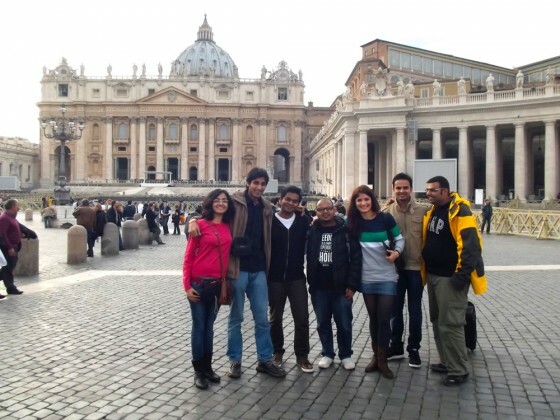 One of our batch-mates is going to work with BNP Paribas in Rome. How do internship and placements work? Internships: 8-12 weeks compulsory internship after the first year. For a batch of 28 students, and last year, 33-34 companies had made offers for internships (marketing, finance, HR, strategy, operations). The internship process happens on campus, and not very different from how they are held at other campuses. Mostly the offers last year were Mumbai based, but there were offers from other cities as well. We had companies like Merck Sharp and Dohme, Ferrero, Deutsche Bank, ICICI Corporate Banking, Piaggio, Walmart, HSBC, Luxotica, SAS, BNP Paribas. 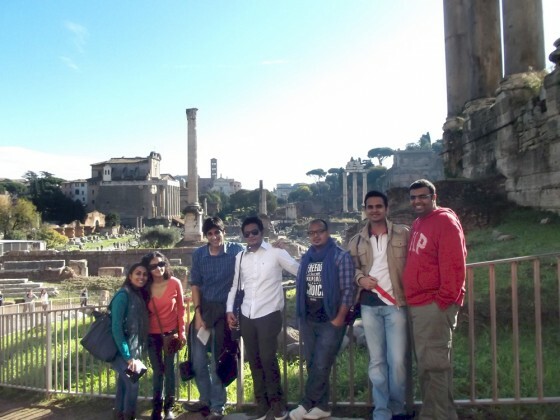 Two students got to do their internship in Rome with BNP Paribas. Placements: While in Milan you can apply to companies, not only in Milan, but also opportunities in Europe, Asia as well. The placements in India start in January. Bocconi and Jobs Mumbai took place on 31 January – around 10 companies visited campus. I got a job offer with Vodafone in their leadership development program – the discover campus program – which they offer in other campuses. There are big companies and big brands which you see visiting all the top tier universities in India – BCG, Luxotica, Ferrero, Piaggio, Vodafone, SAS, all the major brands. Zeus Consulting, Cipla, Merck, Barclays etc, Gucci, Lóreal etc. Great. I have majored in Strategy and Marketing, and interned with a Pharmaceutical company called Merck Sharp and Dohme, wherein I worked for Emerging Markets. I got to understand the nitty-gritty of how marketing in a pharmaceutical company takes place. I even got an opportunity to work with Abbott Healthcare for a 1 month project, wherein I needed to work on a strategy on how increase consumerisation of one of their drugs, it was a sales job wherein they need to go to the field everyday, collect information and then develop strategy. During Milan, I got an opportunity to participate in the Henkel Innovation Challenge which was in its 7th year, some 10,000 teams had applied. The idea was to suggest a product to be launched in 2015, so for the first phase we had to submit an idea for the product and how the marketing would be done. Our Team among the ten teams that were selected and we took part in the semi-finals of the competition in Milan. We attended the semifinals in Milan this February. We got an opportunity to see the manufacturing plant of Henkel. I have a Job Offer from Vodafone in their Leadership Development Programme called the The Discover Campus Programme- I will be working for the first two years on a rotational basis for 3 different projects. Since its a General Management programme- you get to work in all domains. After the two years, I will get an opportunity to choose my domain, the whole idea is to train young generation to become their future leaders. I am looking forward to start working for Vodafone. (Siddhant Kedia, 23, is a native of New Delhi. 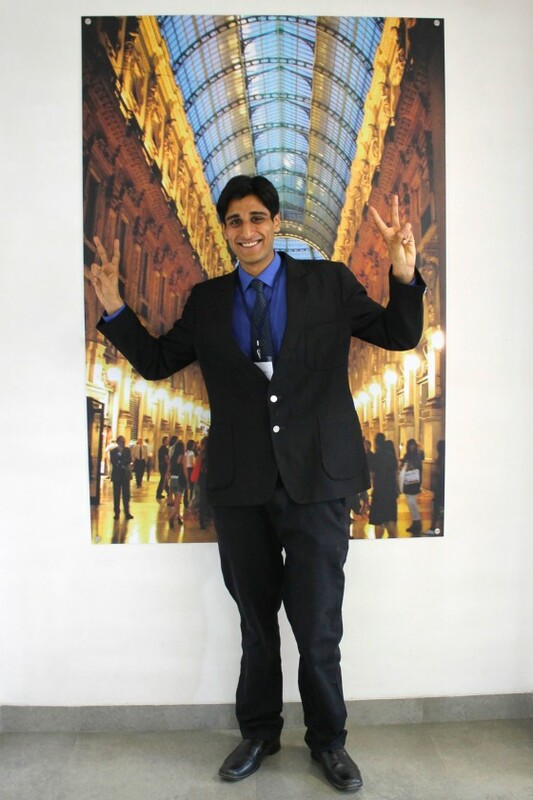 He is currently pursuing PGPB from MISB Bocconi with a specialization in marketing. He did his B.Tech in biotechnology from Vellore Institute of Technology where he was ranked 9th in his batch of 246 students and awarded scholarship for the same in all the 4 years of college. He was also appointed the joint secretary of the Red Cross Society in the year 2010-2011 during which he spear headed programs like blood donation camps, anti smoking camps, orphanage visit etc.